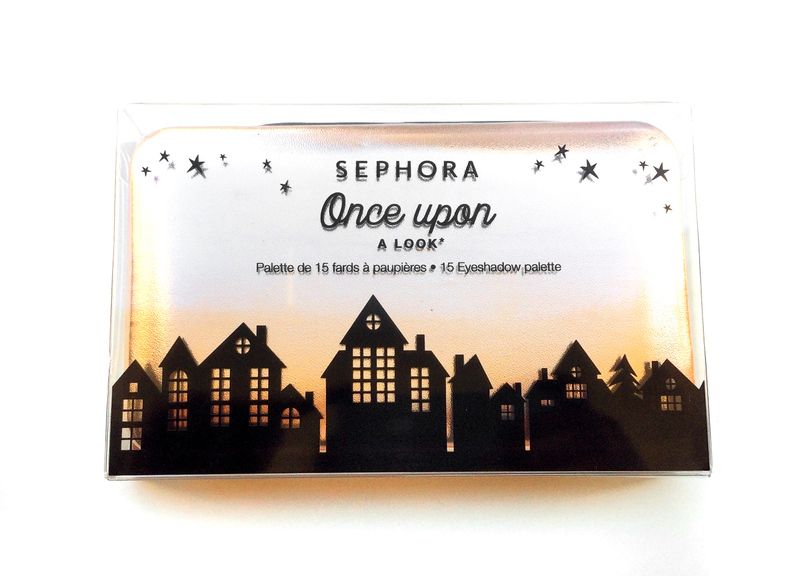 Today’s review is going to be another of my Christmas presents, the Sephora Once Upon A Look eyeshadow palette. To be honest, I’d never pick this up myself, I’m always on Sephora but I haven’t even seen it, that being said I’m glad my family got it for me because it gave me the opportunity to try something that I wouldn’t have tried myself. This palette was limited edition≡ for Christmas and it isn’t available on sephora.com anymore but you might still find it in store. Since it was a gift I don’t know the price but I think is something around 15$-20$. 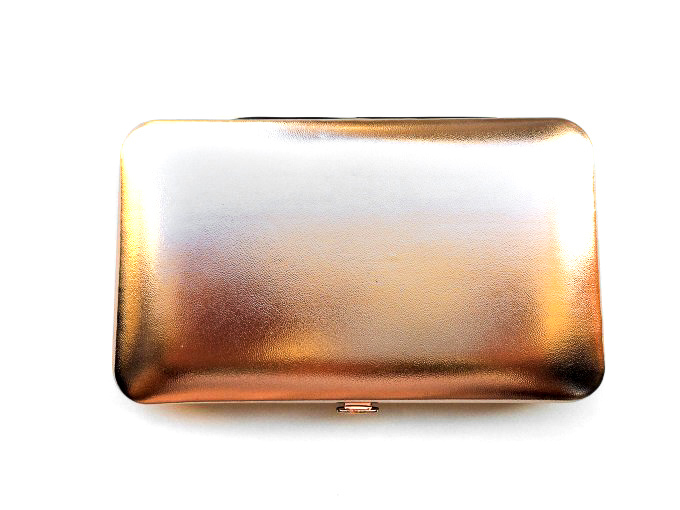 This palette is absolutely stunning, I love rose gold and this looks very luxurious and fancy, like a clutch. 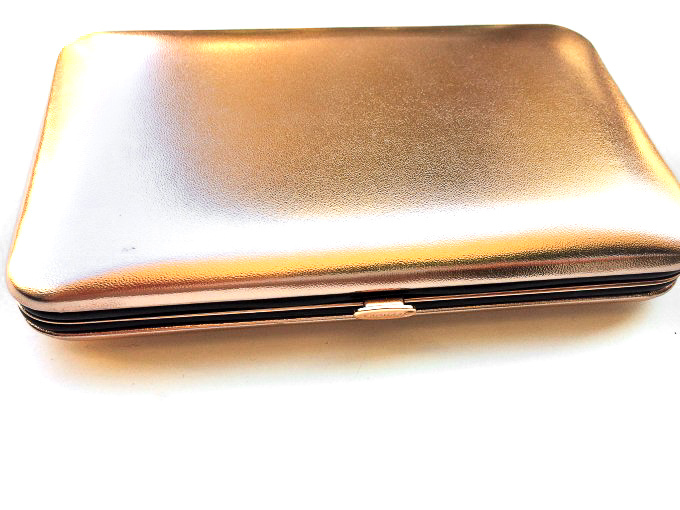 It’s a padded leather on the outside with metallic details on the inside. It comes with a big mirror. As you can see though, all the info about the palette are on the plastic sleeve so if loose that you can’t even see the name of the palette which is a bit annoying. I also don’t like that the shades have no name because it’s harder to refer to. Apart from those things I love the packaging. This palette contains 15 different shades, going from more neutrals to some bright ones and there are 5 shimmers, 3 glitters and 7 mattes. Quality wise they all act differently but for the most part, they are really pigmented and they have a bit of fall down (mainly the glitters). MATTES: Apart from shade #6 which has no pigment at all, all the other mattes are so nice, they are buttery, creamy, pigmented and blendable. Even the more colorful ones (Shades: #1, #4, #6, #8, #11, #13, #15). SHIMMERS: They look so pretty swatched but they are so difficult to work with, they apply beautifully but they blend into nothing, they literally disappear even after you layer them. If you put more than one colour on they will mesh together into one shade without showing the difference. It takes forever to make them decent. I feel like they don’t have any grip. (Shades: #3, #5, #7, #9, #10). GLITTERS: They act like the shimmers but they get better if you wet them, like most glitters, but they do have quite a bit of fall down (Shades: #2, #12, #14). Tip: The shimmers and the glitters will work a little bit better if you wet the brush or use your finger tips to apply them, if you don’t use more than 1-2 colours together and if you use a primer underneat. Believe it or not, this is a halo eye, can you see it? No, because all the shades blend together into one shade, without any dimension. The look is pretty but it wasn’t what I was going for. The colour #5 was blended in the crease it was supposed to give dimension but it blends into nothing, the look is patchy and looks horrible apart from the blue on the lower lashline that is nice. I wish the shimmers were better because this palette has one of the best colour selection I have ever seen and I love the mattes, the packaging is stunning too. But the shimmers are terrible as you can see. So I’ll leave the decision to you, the mattes are good, the shimmers are not. You can make them work but it takes a lot of effort. I think is a nice palette that I’ll use again but it won’t replace my favourites. 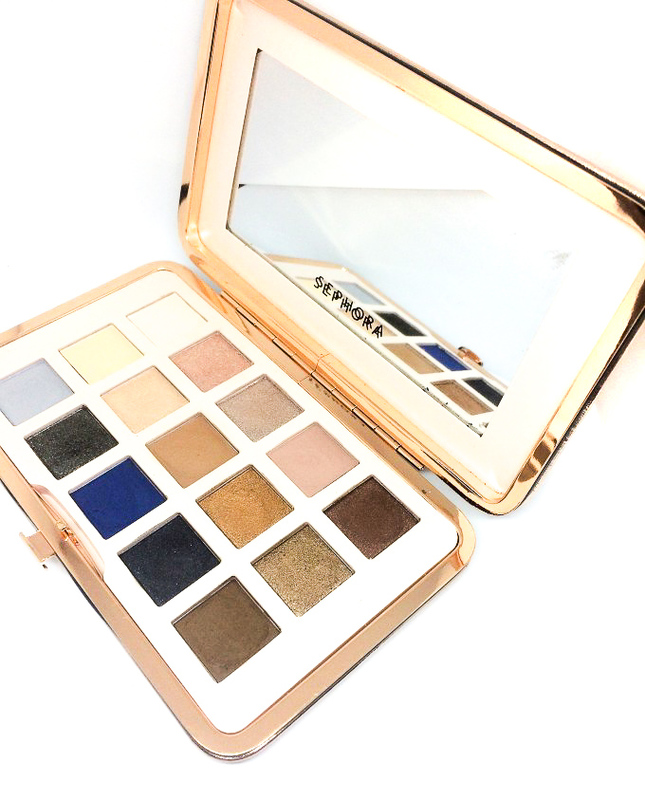 This is a wonderful palette that seems to compliment many skin tones including my own! Thanks for the post! I absolutely LOVE the packaging! I’m not HUGE on eyeshadow, but I love these colors! 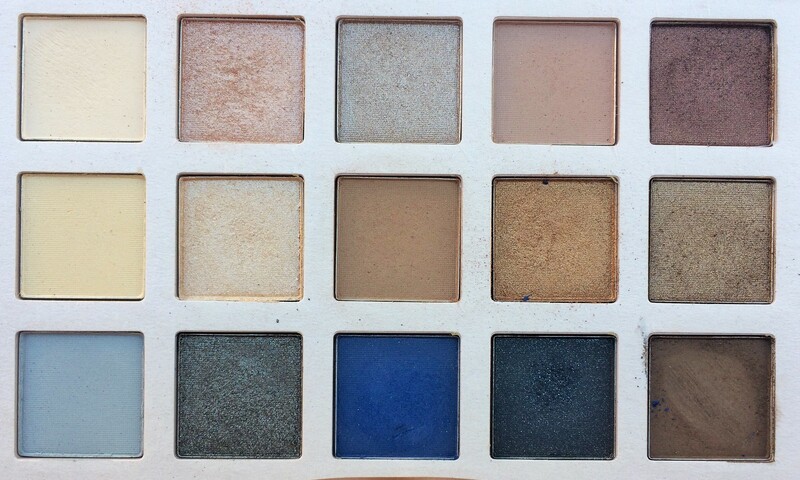 This is a gorgeous palette. I think these colors would work for me!! I love a lot of pigment when I buy eye shadows because I don’t like to use a lot of product (my skin is SUPER sensitive). I don’t think I’m sold on this particular palette. I would be concerned with some of the pigmentation and the colors showing up on my darker complexion (even though I’m not very dark). Also, the packaging is beautiful.